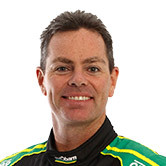 Craig Lowndes may be chasing a recordnumber of wins in the Championship – but that will have to wait for anotherday. By lap four of Race Three today, Lowndes’ car was in the pitand he was a lap down. Post-race, Lowndes expressed hisdisappointment, not scoring one point today. With the new 60/60 Sprint format, there wasa half-time break during the race, but Lowndes did not join the lead lap. “It carries over, so wherever you finish inthe first leg you continue to the second leg… I was a lap down and there was nouse me racing. 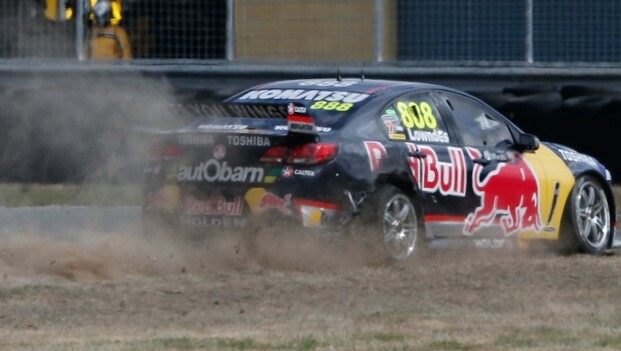 Lowndes’ first contact was with Shane VanGisbergen into turn six. “I went around on the outside and there was contact, Iwas off-track,” he said. As always, Lowndes is positive, lookingforward. “Tomorrow’s a brand new day – there’s nodoubt the boys will have a good look at it (the car). It’s not that damaged,mechanically the car’s ok.
Lowndes has tumbled from first in theChampionship to third – though with only three races complete.